The seven species — Hylaeus anthracinus, H. assimulans, H. facilis, H. hilaris, H. kuakea, H. longiceps, and H. mana — are native only to Hawaii and inhabit diverse habitats such as coasts, dry forests, and subalpine shrublands. These bees pollinate a variety of native plant species, including some of Hawaii’s most endangered plant species, which could become extinct if the bees were wiped out. However, like many other wild bees in North America that are on the decline, Hawaiian yellow-faced bee numbers too are dwindling and their populations are now very small and extremely vulnerable to slight habitat changes. In a positive move for bees, the U.S. Fish and Wildlife Service has added seven species of yellow-faced bees in Hawaii to the U.S. Endangered Species List. These are the “first bees in the country to be protected under the Endangered Species Act,” according to Xerces Society, a nonprofit organization that petitioned the US FWS in 2009 to protect the bees. This decision follows the proposed listing of the rusty patched bumble bee — a once-common species endemic to North America that has faced a drastic decline in number. The seven species — Hylaeus anthracinus, H. assimulans, H. facilis, H. hilaris, H. kuakea, H. longiceps, and H. mana — are native only to Hawaii and inhabit diverse habitats such as coasts, dry forests, and subalpine shrublands. These bees pollinate a variety of native plant species, including some of Hawaii’s most endangered plant species, which could become extinct if the bees were wiped out. 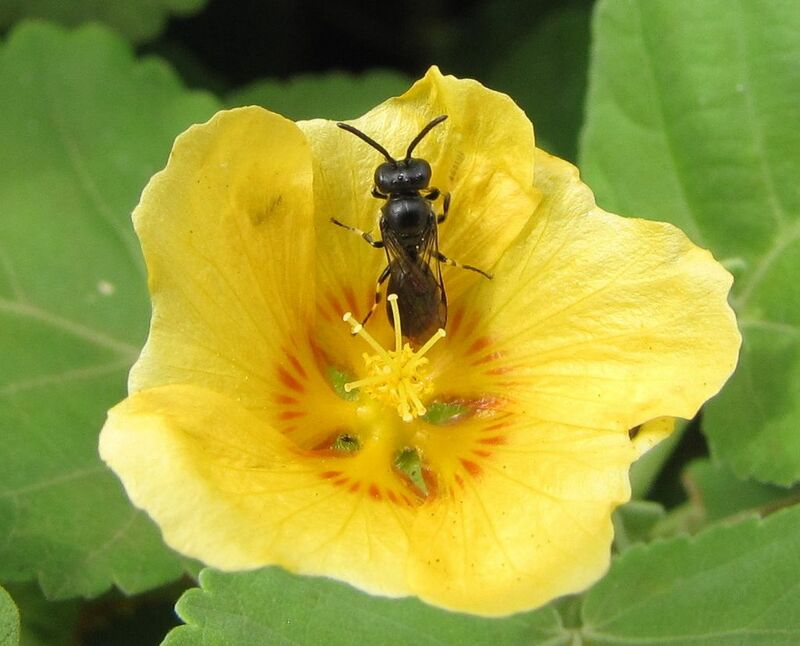 Hylaeus bees are important pollinators for various native plants in Hawaii. Photo by Forest and Kim Starr, source: Wikimedia Commons, licensed under CC BY-SA 2.0. However, like many other wild bees in North America that are on the decline, Hawaiian yellow-faced bee numbers too are dwindling. 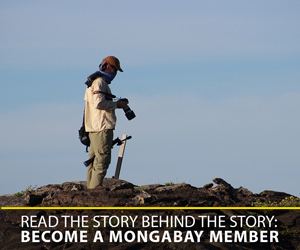 Their habitats are rapidly disappearing due to developmental activities along the coasts, fire, the loss of native vegetation to invasive plant species as well grazing by feral ungulates such as pigs. In fact, the remaining bee populations are so small and rare now that they are especially vulnerable to the slightest of changes to their habitats or stochastic events, according to Xerces Society. H. hilaris, for example, was historically found on the islands of Lanai, Molokai and Maui, but is now restricted to a single small, highly vulnerable population. 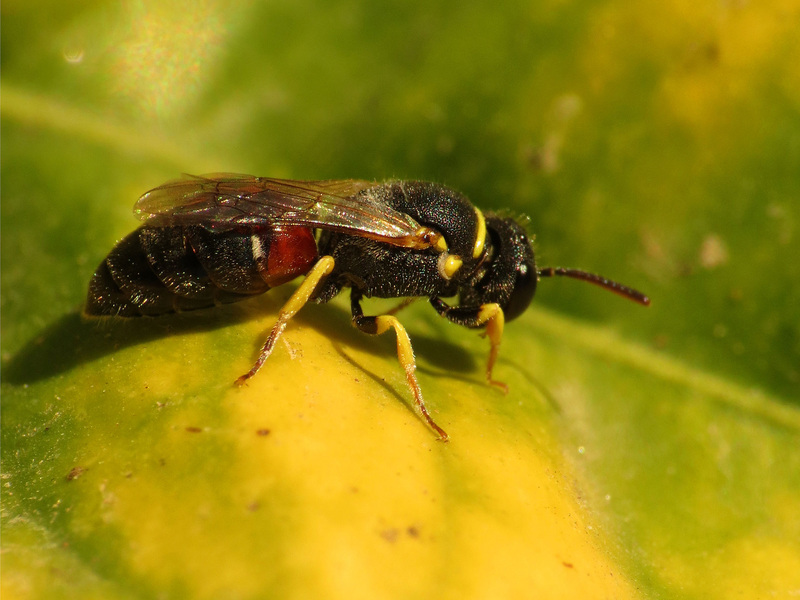 The bee is considered to be the most endangered native Hawaiian Hylaeus species in existence. Given the rapid decline in the Hawaiian yellow-faced bee numbers, conservationists have welcomed the USFWS listing. Hawaii-based entomologist Karl Magnacca of Xerces told AP that it has taken almost 10 years to get to this point. “It’s good to see it to finally come to fruition,” he said. A yellow-faced bee. Photo by Katja Schulz, source: Flickr, licensed under CC BY-SA 2.0.